"I was in the middle of writing a letter to my daughter in America, and I was going to send her pictures of our new grandson. Well, without warning, I got this blue screen appear. At first I thought I'd pushed the wrong button or something, you know? Anyway, I tried to restart the computer, and it wouldn't restart. It kept saying I had to insert a disk, but I didn't have one. We took it to a local PC repair place, and they said the hard drive had failed. I was heartbroken - we had all our family pictures on there, our holiday photos, the contact details for our friends. We lost everything! I wish I had known about backups then." "Have I ever lost anything? Well, no, nothing important. I had Magimedia set me up a backup system, and when our computer went wrong, we just replaced the faulty part. All our information was safe. It didn't even matter when we let our son use the computer, and he thought he'd wiped everything, we just retrieved the files from the backup, it was easy! It's a fact of life that more and more people rely on their computers to keep records of memories. Gone are the days where a computer was just a business tool; the computer has become the central point in many people's homes, providing high-speed communications to friends and family, archiving thousands of photographs over years, and for some people, even keeping their personal diaries. People use computers as their music systems too, buying online from services like iTunes, and putting their personal thoughts and feelings online using services like Facebook or MySpace. Nobody wants their computer to fail, but sadly, many people believe it wont happen to them until it is too late. Magimedia believe that this situation can be avoided almost completely, by learning a few simple techniques and having your system setup to assist you in keeping your information safe. Magimedia can teach you how to manage your data in such a way that you need never lose treasured memories and important files again. This is extremely cost effective, and ideal for home users who may have a few things they don't want to lose. 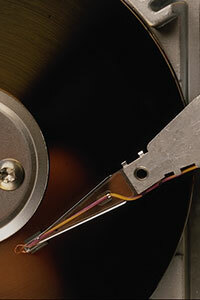 Magimedia can also setup an automated backup system, that keeps your files safe. This is better for people with large amounts of data, or people that feel they wouldn't remember to do the backup. Unlike other companies who charge per month, and rely on you having the highest speed internet lines possible, we provide a system that is so easy, you can manage it yourself, saving you a small fortune. You can also learn how to look after your system, so you know that everything is working, and Magimedia will show you how to do this as well as being able to rescue files should the worst happen, again saving you money. Don't tempt fate, keep your data safe by backing it up.